Just a simple question. Not clear on who to send my appeal email to. I received this email from "listings-report-proactive@amazon.com"
To help with the review process, please send the following information. All fields will need to be completed to move forward with your appeal. 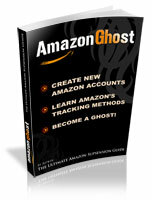 We will send you an email when our review is complete"
listings-report-proactive@amazon.com. Or am I creating a separate email to seller-performance@amazon.com or review-seller-appeals@amazon.com? I'm not sure who to reply to. I replied directly to the email yesterday and the same exact email just came in again from listings-report-proactive@amazon.com. Re: Just a simple question. Not clear on who to send my appeal email to. Reply to whomever sent the email. Thanks for the response. Yeah I created a site and put all the items on there. I also put my Amazon Name and address in the "Contact Us" page. I also have real invoices. Weird thing is. I replied directly to the email. But then today got the same email again from that same email address. If you go into the amazon communications case log do or the performance metrics, do you see an "appeal" button? Or even in the email do you see an appeal button? Did it say we need more information. Keep in mind many replies from amazon are automated it’s a bit replying. Not for this particular message. No it was just a duplicate of the previous I replied by email to. Have you guys ever sent an email to listings-report-proactive@amazon.com and received a response? So I replied directly to the email they sent me with the info they requested over 24 hours ago. How long do they normally take on average to reply to this type of email? It depends, it can take 3 hours, but it can also take a couple of days.